Can you introduce our readers with your work – what is it that you do, how and why you chose digital marketing as your work call? 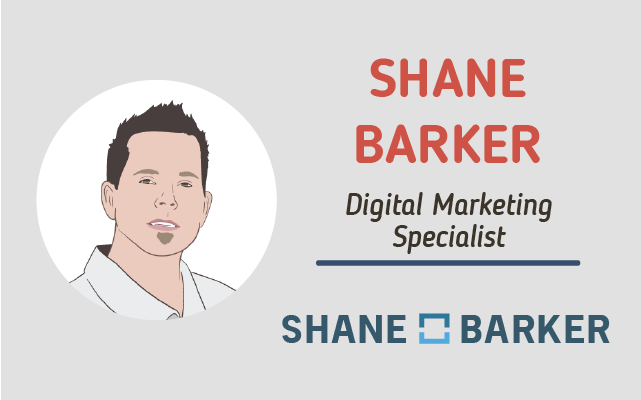 As a digital marketer, my work involves basically any form of marketing that brands can do in the digital sphere. I help businesses improve their online visibility by marketing their content, building backlinks to their sites, enhancing their site design and performance, and improving their ranking. I also help clients create marketing campaigns with influencers so they can drive brand awareness and increase conversions. I chose to become a digital marketer for several reasons. First of all, the marketing world has always intrigued me. 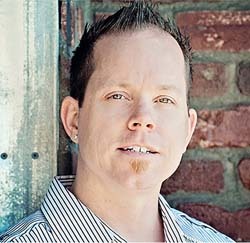 Long before I became a digital marketing consultant, I observed how brands were market themselves online. And I was keenly aware of where they were going wrong, and what they could’ve done better. I also have a knack for understanding people, and what motivates them to take action. So I decided to choose a profession that would allow me to combine my skills and interests, and also give me the opportunity to help other entrepreneurs and businesses. What exactly is influencer marketing; micro-influencer marketing particularly, and who are ‘micro-influencers’? Influencer marketing is the process of promoting your business, products, or services through influential figures. The influential figure may be an individual, group of individuals or even a brand. Most influencers have thousands and thousands of followers, which usually makes influencer marketing campaigns effective as long as you do your research and work with the right influencer. But in the case of micro-influencers, their reach is smaller but more targeted. The exact numbers differ based on where you look for information, but influencers with anywhere between 1,000 and 100,000 followers may fall under the micro-influencer category. In some cases, even people with more than 100,000 followers may be classified as micro-influencers if their reach mostly focuses on a specific location or niche. Regardless of the specific numbers, the idea behind micro-influencer marketing is that brands can associate themselves with a human face. And that human face doesn’t have to an iconic celebrity, but an everyday consumer. This helps their target audience relate to, and connect with the brand on a more organic level. Can anyone become an influencer? What would you say to someone who approaches you and say ‘I wanna become an influencer Shane – tell me how to do that’? I believe yes, anyone can become an influencer if they put the time and effort into building their audience. If someone wants to become an influencer, the first step is to choose a niche that you enjoy. Some examples are makeup and fashion, healthy living, travel, entertaining people, fitness, humor or photography. The next step is to create useful and engaging content relevant to their niche. The goal is to grow their audience by providing them with something valuable and amazing content. Influencers may not get brands flocking to them for partnerships right away. It can be helpful for them to join influencer networks, and connect with brands through third-party influencer platforms and agencies. Building a brand can be tough… What was the most important part of your own brand creation journey? As you know, there are lots of steps in a brand creation journey. But the most important part of mine was content marketing. Content marketing serves several purposes. First of all, guest blogging helps you reach a relevant (and likely interested) audience. It’s a way to prove your expertise and credibility to them, and to show them that you know what you’re talking about. Guest blogging also helps you earn quality backlinks. Not only does this drive more traffic to your site, it can also help you boost your ranking. And everyone knows the importance of search ranking for a brand’s visibility. So content marketing gives you the combined benefits of SEO and brand mentions. You blog a lot – on your personal site and you contribute frequently to other sites like SocialMediaExaminer, Huff Post, INC, etc. How much time do you actually spend on writing – I’m talking about the whole content creation process? The time taken for creating content varies based on the topic being covered, the word count, etc. Usually, the content creation process begins with keyword research, which then leads to topic selection. I then create an outline so that there’s some structure to my writing, and so I can effectively convey what I need to. Finally, I start writing the content and collect studies, examples, and images to support the various points I’m making. Finishing a 2000-word piece would normally take me around 7-8 hours. But a more complicated topic might take a bit longer. If I were to collect examples, images, and case studies covered in existing articles it would take much less time. But I always try to produce original pieces with fresh examples and images, which takes a bit longer. What would you say are the biggest mistakes that bloggers make today? I think many bloggers make the mistake of focusing too much on what they want and need. They produce content that they like, and cover topics that they like instead of listening to their readers. While I think it’s important to focus on topics that you’re passionate about, I think it’s also crucial to consider your readers at all times. You have to think about whether or not the topic will be valuable to them, and how to structure your content in the most appealing, engaging, accessible way. Can you list top 3 things that can make anyone who reads this, regardless of their niche, be better at influencer marketing? Influencer marketing isn’t easy. But you can improve your techniques by following a few best practices. My first (and most important) tip would be to focus on relevance. Too many brands only look at an influencer’s audience size. They think that the more followers an influencer has, the bigger the impact. But if you want your campaigns to be truly successful, it’s important to work with influencers who can influence and engage your target audience. My second advice is to build genuine relationships with influencers. You need to look at influencers as human beings, and as business partners rather than just another marketing channel. Respect their individual needs and expectations when striking up partnerships with them. An authentic brand-influencer relationship will be visible in your campaigns, and your promotions will seem more authentic and trustworthy. Finally, you need to provide influencers with creative freedom. Most influencers are excellent content creators, and they know how to engage an audience. If you’re too restrictive with your content guidelines, it can stifle their creativity. And the content they create for you may not be as interesting or engaging as their usual content. Any future projects you’d like to share here – a book or a course that our readers should check out? 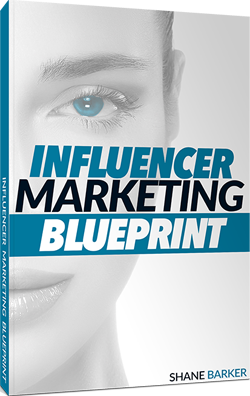 Yes, I have wrote an ebook about influencer marketing which is basically a step-by-step guide that can help you find the right influencers – from identifying potential influencers to narrowing them down based on their reach and engagement. You’ve got a pretty good thing going, obviously, but if there’s one truth in the marketing world, it’s that things change….So, what do you think the future holds for influencer marketing? If brands want to convince consumers to buy their products, they need to win the trust of their audience. What inspired marketers to use influencer marketing was so they could infuse more authenticity into marketing campaigns, and win the trust of an audience. As you probably know, the use of ad blockers is increasing every year. So marketers needed a way to reach their audiences more effectively, and in a more trustworthy manner. They decided to work with influencers, since consumers tend to trust their opinions and recommendations more than celebrity endorsements and brand-created content. But with so many brands jumping on the influencer marketing bandwagon, the marketing channel is slowly losing its authenticity. At the same time, if brands can manage to maintain authenticity in their campaigns, influencer marketing can still be one of the most effective marketing strategies. I believe that, in a few years influencer marketing, influencer marketing will be dominated by brands that build strong relationships into their campaigns. And brands that don’t restrict the voices and creativity of influencers will excel. Great advice indeed. I liked the focus in relevant content, not the audience quantity. Good job!